“When we receive a valid impersonation or trademark report about an account that violates our parody policy, we temporarily suspend the account and may give the user the opportunity to come into compliance,” Twitter’s website says. In an interview, the creator of the parody Putin account told The Moscow Times that the suspensions showed how sensitive officials have become about criticism of Russian leaders. Estonian President Toomas Hendrik Ilves, an avid social media user, condemned the suspension, describing the @DarthPutinKGB profile as “one of the funniest parody accounts around”. All of the suspended accounts, including @SovietSergey, have now been reinstated. 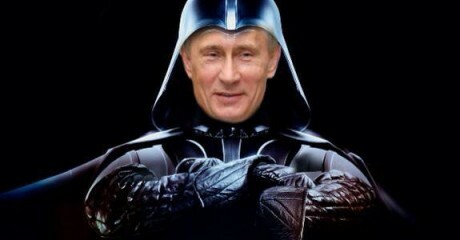 But DarthPutinKGB’s suspension in particular provoked much indignation from Twitter users, and also plenty of humour.